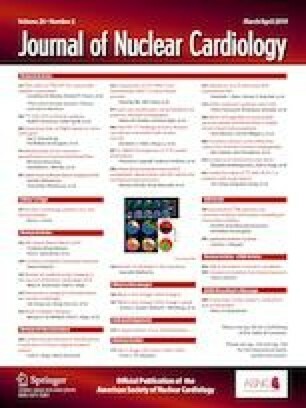 This study aimed to compare the accuracy of gated-SPECT (GSPECT) and gated-PET (GPET) in the assessment of left ventricular (LV) end-diastolic volumes (EDVs), end-systolic volumes (ESVs) and LV ejection fractions (LVEFs) among patients with prior myocardial infarction (MI). One hundred and sixty-eight consecutive patients with MI who underwent GSPECT and GPET were included. Of them, 76 patients underwent CMR in addition to the two imaging modalities. The measurements of LV volumes and LVEF were performed using Quantitative Gated SPECT (QGS), Emory Cardiac Toolbox (ECTB), and 4D-MSPECT (4DM). The correlation between GPET, GSPECT, and CMR were excellent for LV EDV (r = 0.855 to 0.914), ESV (r = 0.852 to 0.949), and LVEF (r = 0.618 to 0.820), as calculated from QGS, ECTB, and 4DM. In addition, subgroup analysis revealed that EDV, ESV, and LVEF measured by GPET were accurate in patients with different extents of total perfusion defect (TPD), viable myocardium, and perfusion/metabolic mismatch. Furthermore, multivariate regression analysis identified that mismatch score was associated with the difference in EDV (P < 0.05) measurements between GPET and CMR. In patients with MI, LV volumes and LVEF scores measured by both GSPECT and GPET imaging were comparable to those determined by CMR, but should not be interchangeable in individual patients. The online version of this article ( https://doi.org/10.1007/s12350-019-01709-9) contains supplementary material, which is available to authorized users. The authors of this article have provided a PowerPoint file, available for download at SpringerLink, which summarizes the contents of the paper and is free for re-use at meetings and presentations. Search for the article DOI on SpringerLink.com. This work was supported by Grants from the National Natural Science Foundation of China (81320108014; 81727807).